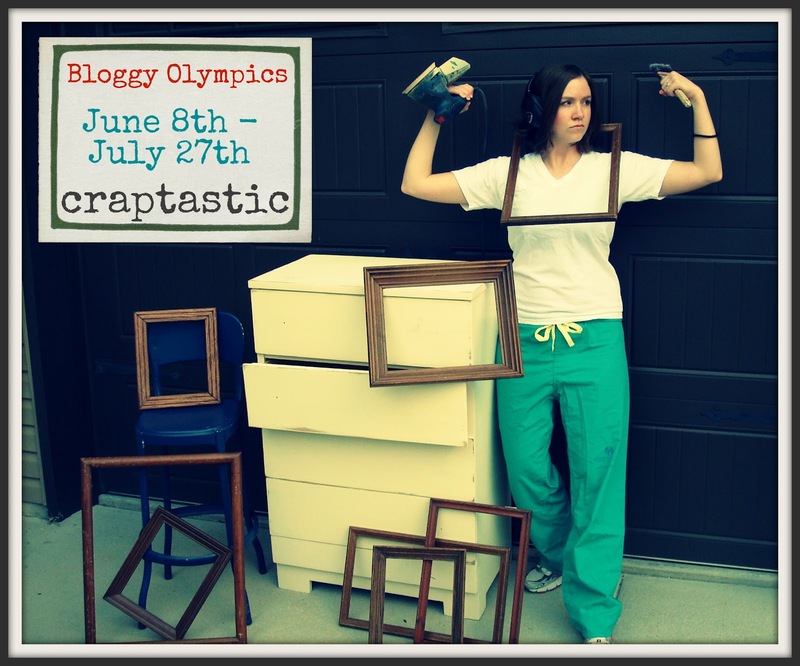 CRAPTASTIC: 2012 Bloggy Olympics Torch Passing and Giveaway! Happy weekend! Hope your's if off to a great start! I've got an awesome event to tell you all about - it's going to be the bee's knees! This summer marks the start of the 2012 summer olympics. Don't you know we've got a little bloggy olympic action going on! This summer a group of some super bloggers are going to be hosting a six week bloggy olympics! There will be 17 different blogs participating in 6 events over a six week period. 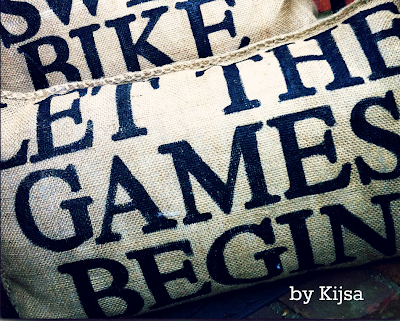 The bloggy olympics will start June 9th and run until July 27th. Each week three blogs will share a simple tutorial that you can copy, or use as inspiration for that event's theme. At the end of the week the hosts of the event will each host a blog linky party for you to link up your finished event projects. You better believe there will be features, giveaways, and fun Olympic stuff! The opening ceremony begins THURSDAY, JUNE 7th and runs until Friday, June 8th at midnight. If you are planning on joining in on any of the events in the Bloggy Olympics come link up your blog at the opening ceremony! Now, to get you started in on the fun, we have a great giveaway lined up for you! You have your chance to win your choice of an AWESOME pillow that was made special for this event by kijsa. Here is a sneak peek at one of the pillows you can choose from if you win! Ummm, yeah. That's pretty awesome! Hop on over to Hating Martha for the details! Alina and T is offering you all 20% off anything in the shop with the code OLYMPICS20. MaroDesigns is offering you all 10% off anything in the shop with the code OLYMPCS10. And, because this is the bloggy olympics, here is my bloggy olympics pic and bio! The President. I'm his personal advisor. He loves me. Ha - but seriously, my family. They rock. A lot. They're my cheerleaders and support system! Love them all! How do I think people will remember me? The weird girl. Once in college I was told to work with the "mutant" yeast because I'm weird. Yeah, what of it?! What do I do in my spare time that isn't blogging? Currently getting my Master's in Physician Assistant Studies. Today I hammered a rod into a femur and I loved it. What am I really bad at that I would love to be good at? Walking. Seriously. I trip over things that aren't there. Don't even get me started on walking in heels. I can't even chew gum at the same time. What are the main lessons I've learned in life? Oh, serious question. Hmm. The hardest lesson for me, and one that I'm still working on, is letting the little things go. Sometimes it's just not worth worrying over. What is my greatest challenge in this event? Which project do I choose! When I first started painting I read about 10,000 blogs. For reals. I got so many tips from the folks who had been around and learned from their own mistakes. Then after that, just have fun! That's all folks! I hope you're getting excited about the Bloggy Olympics 2012 Event! See below to see my fellow torch givers and takers! You are too cool! Love it! Sounds like a great bloggy summer to me :) Excellent idea! you are SO cute! my post goes up in 20 minutes and i took a slef portrait while still in sweaty clothes.... um yeah. so glad to have you and gwen as my PIC's! You are hilarious. If I ever need a PA you will be my go-to girl! Oh yeah! We gonna rock this out... I dropped the torch, but apparantly, you, girl, are a pro!!! Cute! Love the power tools pics! BTW, I'm moving to Nashville in a year! rod? femur? HAMMER? good heavens, girl...i might barf. still, you're darn cute w/ that frame 'round your neck!